Cowboy Christmas Concerts – Old-Fashioned Cowboy Christmas Concerts, carolling, cookies, no apology for using the word Christmas! 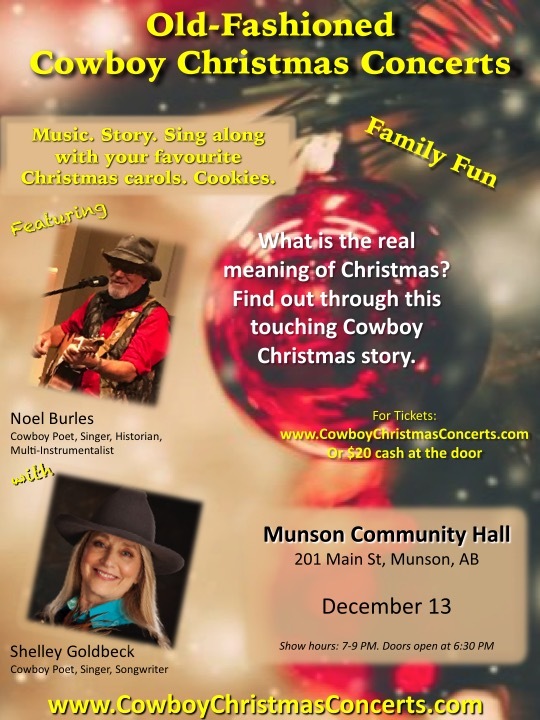 Old-Fashioned Cowboy Christmas Concerts, carolling, cookies, no apology for using the word Christmas! 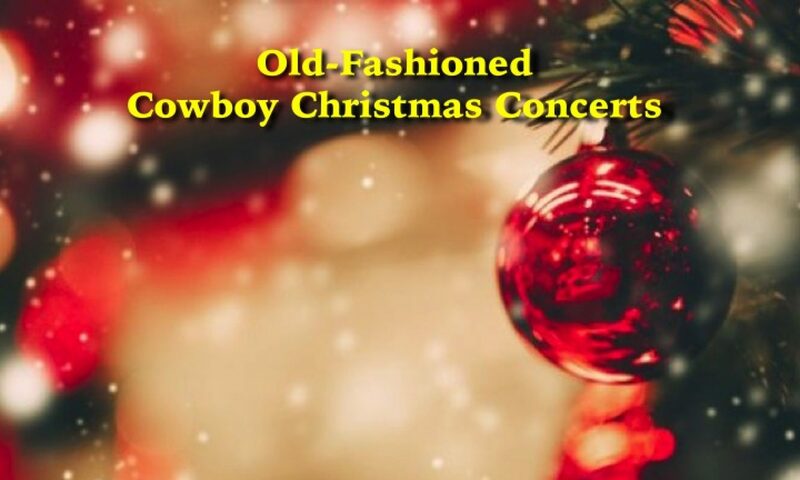 Welcome to Cowboy Christmas Concerts! We long for old-fashioned Christmases where people sang carols (all of them, not just Santa and Rudolph), and we could say the word “Christmas” with complete immunity from political correctness. The audience will participate by singing carols throughout the story. At intermission we’ll visit over coffee or hot chocolate and home-made Christmas cookies. It’s fun for the whole family. Every ticket is only $20. If you are looking for an ideal way to get into the Christmas spirit, come to Cowboy Christmas Concerts.